Back in the day before I was a mom I asked one of my friends what she ate for dinner. You know, just making conversation. She told me she ate her kid’s leftover chicken nuggets from a fast food chain that shall remain nameless, half a soda and some cheese crackers. I didn’t get it until I became a mom. I get it now. Eating three square meals a day plus two healthy snacks is always the goal right? Alright, I can feel the snark and side eye from here. It’s okay, eating that well while mothering is tough. Busy moms may need a little multivitamin supplement love because sometimes dinner is shared with a thriving toddler that nibbles off her plate between laps around the kitchen. No? Just me?! Oh okay, moving on. You always want to start with getting your vitamins, minerals and nutrients from a variety of nutritious foods first. However, in times where the above entree is on the menu for weeks on end, a well rounded multivitamin could be just the supplement you need. Women have different nutritional needs, so it makes sense that our multivitamins would differ as well. Your daily allowance may differ with age, pregnancy and breastfeeding. I’m going to give you some information based on the average, middle aged woman that’s not pregnant, breastfeeding or having any other health conditions. But with the millions of options out there, how do you choose the right one for you? Keep reading! Something you probably constantly hear about in women’s health is calcium. This is because it has proven benefits for bone health and osteoporosis prevention which is a major factor in women compared to men. Adequate calcium intake also shows benefits with cardiovascular disease, blood pressure regulation and hypertension. The recommended amounts per day is 1000mg in women 19-50 years old and 1200mg 51-71 years old. There is an inverse relationship between the amount of calcium absorbed and the total amount of elemental calcium you take at once. By inverse I mean opposite. Basically as the amount you take at once increases, the percentage of that amount absorbed decreases. Absorption is highest in doses ≤500 mg. So, for example, say you take 1,000 mg of calcium at once on Monday. On Tuesday you take 500 mg at two separate times during the day say with breakfast and dinner. Your body absorbs more of the Calcium on Tuesday because you decreased the amount taken at one time and spread it out. There are two main forms of calcium called calcium carbonate and calcium citrate. Carbonate is cheaper and uses the acids in your stomach for absorption so take it with food. You’ll see it in products like Tums and Rolaids. Citrate is more convenient, can be taken without food and has less side effects but you absorb less at a time. Calcium supplements have the potential to interact with several types of medications in the below ways, so be sure to discuss it with your health care provider. Since this website is all about empowering moms with knowledge to take care of their bodies and their families, I’m referencing two free tools you can use to research drug interactions when needed. Soon after calcium is the next buzz vitamin in women’s health called Vitamin D. It helps with the absorption of calcium. Often referred to as the “sunshine vitamin” because exposure to sunlight helps the body to produce it. Vitamin D is one of those nutrients that is not easily found in a variety of foods. Plus, not everyone has the same opportunity or ability for enough sun exposure. Darker skin tone, sunscreen and location can each lead to less vitamin D to be made. With the combination of lack of diet sources and sunshine opportunities, it may be in your best interest to supplement with vitamin D if needed. Shoot for 600IU per day. One of my favorite things to do when I’m getting cozy on the couch is to put my cold feet on my husband. It’s soooooo toasty and cozy! Can you relate? This is because women’s circulatory systems operate differently from men’s. It’s a combination of hormones and vital reproductive organs that need protection, so extremities get the blood flow later. Iron makes up part of a substance in the blood called hemoglobin which helps to transport oxygen throughout the body. When we lack iron our bodies don’t make enough oxygen carrying red blood cells. We just take a little longer to warm up. We also have lower iron which may contribute to that and other issues such as anemia. Women are more likely to be anemic than men. Women 19 to 50 years old need 18 mg of iron daily due to losing iron through blood loss during periods. Pregnant women need 27 mg per day. Women 51 years old and up need 8 mg per day. *remember those calcium interactions with medications? Iron is one of them. Calcium (including dairy), can stop the absorption of iron. It’s best to separate calcium and iron by about 2 hours so they shouldn’t be together in the same pill. *Vitamin C helps with the absorption of iron. Folate is one of the B vitamins and folic acid is its synthetic form. Getting enough folate before and during pregnancy can prevent major birth defects. 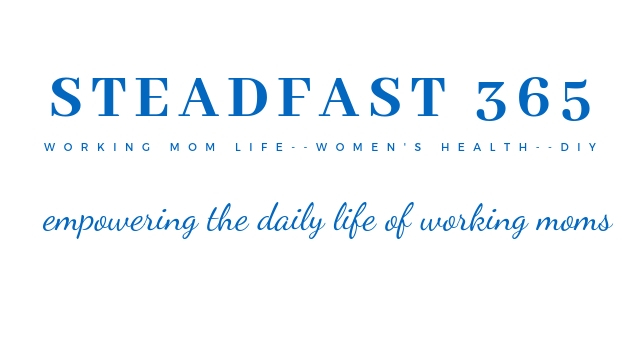 Women of childbearing age need 400 micrograms every day. This daily amount increases to 600 mcg for pregnant women and 500 mcg for breastfeeding women. When is 1000mcg of folate indicated? I was pregnant at 35 and had my first baby at 36 years young. According to modern medicine this is considered a “geriatric” pregnancy. Seriously man, geriatric was the only adjective they could think of?! So we’re gonna skip right over mature, wise, or even progressive?! Okay, off the soap box. That’s another blog post for another time. Where were we? Yes, so in this case it is indicated to take 1,000mcg daily. Other high risk pregnancy situations warrant this as well so it’s best to speak with your physician for details here. Special situations: There is some active debate and research out there regarding folate vs folic acid. I have taken both and after doing my own research I have decided to go with folate as my first choice. Not everyone can break down folate into folic acid and folate is naturally available in a variety of healthy foods. I’ll be the first to say I underestimated magnesium. Women can benefit from this essential mineral in many ways. It helps with building stronger bones and preventing heart disease. Two key benefits for women. Magnesium can also boost the mood so it may pair nicely with the natural serotonin boosting routine you may be doing. Aim for 310 – 320mg depending on age. Like magnesium, you will see that vitamin E carries many benefits to women’s health as well. It protects against free radicals, lower heart disease risk and can boost the immune system. For women going through menopause, vitamin E has been associated with reduction in the severity of hot flashes. Aim for 15mg per day. Zinc has overall health benefits to everyone like recovering from the common cold and speeding up wound healing which is right on target for busy moms. An important benefit specifically to women’s health include easing the pain of menstrual cramps. Shoot for 8mg per day. Water soluble vitamins are C, B complex, and A as beta carotene. There’s no point in going overboard with these because you most likely pee them out anyways. The fat soluble ones (A,D,E,K) are more likely to build up in your system’s fat stores so be sure to stick with normal daily dosing on those too. It has been studied that since they are stored so well, that you may not even need to supplement if you are not having symptoms of deficiency. 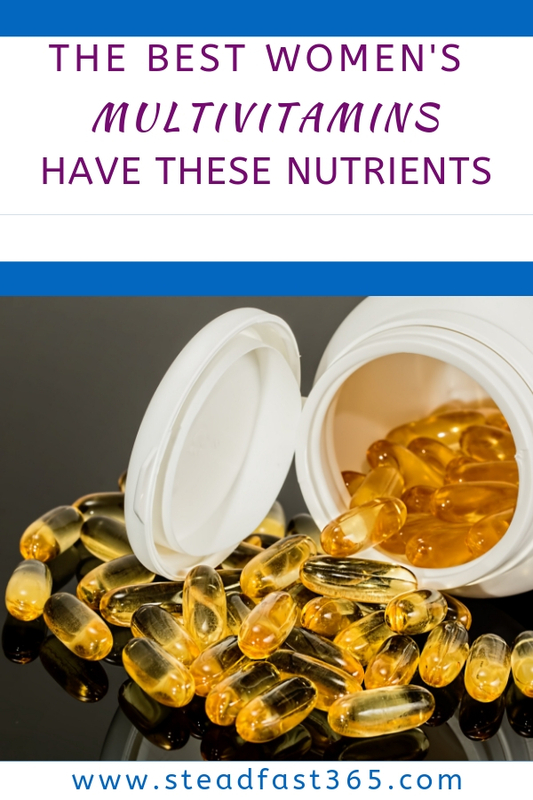 You can read more about fat soluble vitamins here. You deserve to feel your best. That could mean taking a multivitamin every day or maybe it means taking it during a rut or a super busy time where your diet is not optimal. Either way it’s good to know that you are armed with the knowledge of how to find a good back up when you need it most. Feel your best with a nutritious diet, regular exercise and plenty of water. I like to add collagen to my daily supplement routine to help keep my skin, joints and hair healthy. You can read more about that here if you’re interested. Something to look for when choosing a multivitamin is the active form. Flip the bottle over and read the labels. See if you can find out if it contains the active form because they are better absorbed. Speaking of reading labels, make sure you look for herbal remedies and other extras. Like I said there are millions of multivitamins out there. Because of this you will see that certain ones make claims to set them apart. For example, one may claim weight loss support, while another claims energy boosting or sleep. These could have caffeine or herbal substances that may have side effects or interfere with medications you are taking so be sure to always double check. What is your favorite multivitamin? Is there something specific you look for when choosing one? Don’t forget to pin this post for later.